I am going to admit that I had never heard this record. I have seen the iconic cover, but never owned any copies of it and never took the time to find a download for it or listen to it. Shame on me. I'm glad I got one of the RSD represses of this. Out of /700 on red vinyl and looking sharp. Just what you would expect out of late 80s East Coast youth crew. Here is a release of early 80s punk that I have never heard of before Record Store Day, and this was totally an impulse buy. It sounded good enough on youtube after a quick preview to throw in my online shopping cart. 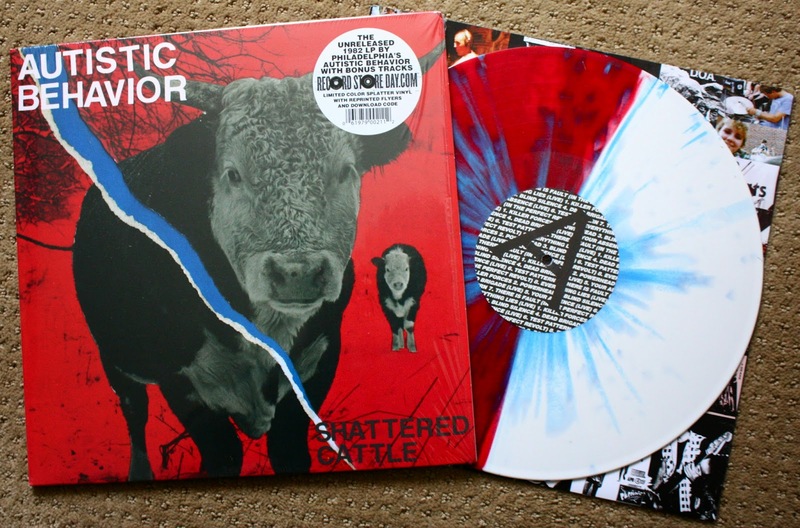 I got the version on splatter vinyl which apparently is long gone out, out of /500. They also pressed this again on red and black vinyl on a larger pressing. This is a decent release but it's not exactly blowing me away. jake I just saw your boys in Violent reaction/the flex last night... sweet set!